One of the most frequent questions we get here at Home Loans For All is how someone can secure a home loan if they have bad credit. Often, it can feel like there’s no options out there for customers in that situation, but they and you should know that there are plenty of options for Bad Credit Home Loans in Los Angeles available to those who are willing to look. 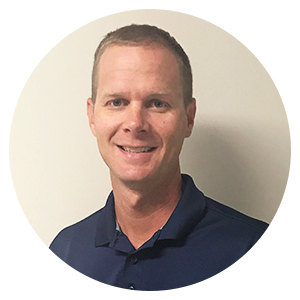 The key to knowing which programs are right for you is understanding and identifying which factors are essential for a mortgage applicant to a particular lender. Your credit score, which is often the first thing lenders look at, is determined by how you use your credit and your history of payments made on things like debts and card bills. 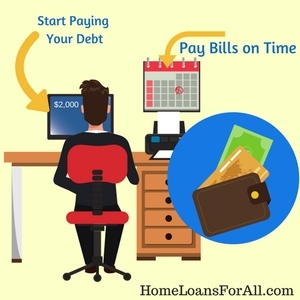 If you pay your bills on time every month, you will likely have a higher credit score, which will qualify you for lower interest rates and better terms on your mortgage. Pre Qualify for A Los Angeles Low Credit Home Loan Today – Click Here. On the other hand, and we’ve all been here – sometimes it’s not possible to make your payments on time, or sometimes you might find yourself in excessive debt. This makes it harder to secure a Los Angeles home loan…but not impossible. The other thing lenders look at is your debt-to-income ratio, which compares the amount of money you have to use to pay off your debts each month (student loans, car payments, pre-existing mortgages, etc.) to the amount of money you make in a month from your job or jobs. Most lenders like to see your debt take up no more than forty percent of your gross income. Missing only a few payments can seriously damage your credit score, and it can take awhile to rebuild it once it gets below 550. You may need to start looking into government programs that are designed to help people with bad credit find a place to live. 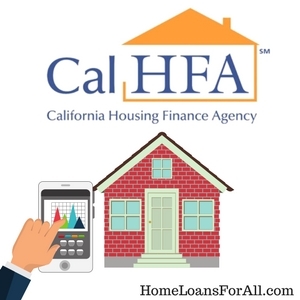 The California Housing Finance Agency, or CalHFA, is a state agency that offers more affordable home loans through the sale of bonds. They work with homebuyers with low credit to offer FHA, EEM+, and VA loans (two of which we’ll discuss later in more detail), but they also have to programs to assist those who have bad credit or who are otherwise in a difficult financial situation to better make down payments. The first is called the MyHome Assistance Program. In this program, CalHFA pays up to 3.5% of the purchase price of the home with a “silent second” deferred loan, which you don’t have to pay until you’ve finished paying off the rest of the mortgage and own the house. The second is the School Teacher And Employee Assistance Program. As the name implies, this option is only available to teachers, administrators, school district employees and staff members working for any K-12 California public school. This silent second loan works the same as the MyHome program, except that CalHFA will pay up to 4% of the purchase price for you instead of only 3.5. Looking for help with low income housing in Los Angeles? Click here! The federal government has additional programs available that will allow mortgage applicants to buy a house in Los Angeles with bad credit. FHA loans are still given out by a private lender, but they are insured by the Federal Housing Administration of the United States government, which means that lenders are willing to consider applicants who might otherwise be rejected outright. Loans insured by the FHA have can a down payment as low as 3.5 percent, and lenders usually do not set a minimum credit amount on these loans which makes them ideal California loans for bad credit. 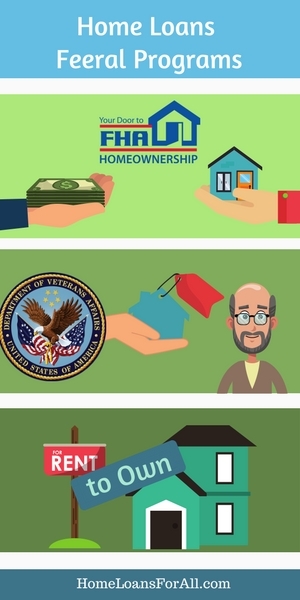 Eligible service members and veterans may be eligible for VA loans, a federal program that waives the initial down payment and private mortgage insurance on a home loan. VA loans also don’t have a minimum credit score. These benefits mean that a VA loan isn’t just easier for Angelinos with bad credit to secure, it will also likely save you thousands of dollars. If you’re still struggling to find a lender who will work with your low credit score, or if you’re not eligible for any of the programs above, you might want to consider renting a home that you will have the option to purchase in the future. Rent-to-own contracts are different from home loans and have much lower or even non-existent credit requirements, and you can sign a contract with a potential options fee (similar to a down payment) that will give you the opportunity to buy the house in the future. In a rent-to-own situation, a portion of your monthly rent payment is put towards the principal of the home. You can live in the property while you save up to make a purchase and/or take time to repair your credit. Once the lease is up, you will be given the option and opportunity to purchase the property outright, which will require taking advantage of a loan from a private money lender. If your credit is just too low to qualify you for a home loan, you can ask a family member or trusted friend to cosign the loan with you. This will allow you to apply as though their credit score was yours, which will give you better terms and a better chance of getting accepted, but it also means that they promise to make your payments if you cannot, so it’s obviously a big legal commitment for them. 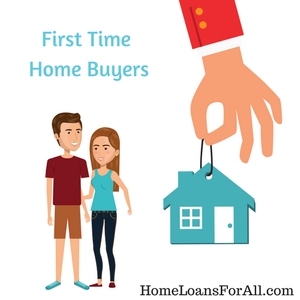 Most first-time buyers prefer FHA loans – in fact, that’s what they’re designed for! A first-time buyer with a credit score of 580 will only need to pay a 3.5% down payment. If you have a lower credit score, your loan application may still get accepted if you have other compensating factors, such as proof that you regularly pay your utility bills (which is considered an alternative form of credit) or a larger down payment (usually around 10%). When you fail to make a mortgage payment, the house may be foreclosed upon or you might have to file for bankruptcy. Either event will have a major impact on your credit score and will greatly impact your ability to secure another home loan in the future. Conventional financing usually requires you to wait seven years after filing bankruptcy to apply for another home loan. However, FHA loans only require a three-year waiting period, and VA loans are even more lenient with a waiting period of two years. If you take time to rebuild your credit during the wait, you will be able to get even better terms on your loan once the waiting period has ended. There’s lots of assistance available to potential home owners in the state of California, whether you’re buying your first home or your fiftieth. 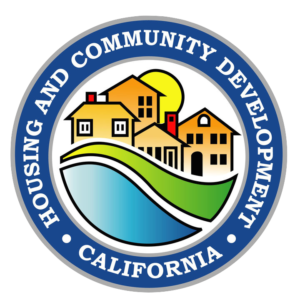 HUD-approved counseling and the Department of Housing and Community Development are good sources for answering questions and offering guidance. The homestead tax credit is another resource available that can make a potential property more affordable. Homestead tax exemptions let you withhold a certain dollar amount or percentage of home value from your property taxes if you live in a home that you are paying off. On average, people who are eligible for the homestead tax credit in Los Angeles, California will save between $70.00 and $80.00 on their taxes. Raising your credit score is usually a very time-intensive process, though it depends on the damage that was done to your credit in the first place. The first important step is to start paying your bills on time every month, which has a huge impact on your credit when done consistently and which demonstrates that you are a reliable financial investment for the moneylender. The second step is to start paying your debt to lower your overall credit utilization. This not only improves your credit score, it lowers your debt-to-income ratio, both of which will increase your chances of being able to buy a house in California with bad credit. Though it can often seem hopeless, buyers with bad credit shouldn’t give up – even in pricey Los Angeles, it is possible to make your dreams of home ownership a reality. 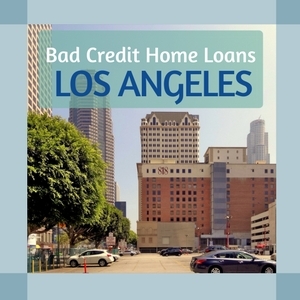 If you work with us and keep the above advice in mine, you too can find a Bad Credit Home Loan in Los Angeles.